The first thing that comes to mind when I think money saving tips for grocery shopping is couponing. extreme couponing – where the couponer gets $200 worth of food for next to nothing. That’s not quite how it goes when you actually coupon. Couponing takes A LOT of time. You have to find coupons, cut them and then find sales to match to them. This doesn’t even count the time in driving from store to store to get the best deals. Yes, couponing can be a good thing and you can save money, but it is also time consuming. If you have the time and desire to coupon you can start learning here. If you are busy college student, you may not have the time. So, I’ve put together a list of money saving tips to help you save money on groceries – without using coupons. One way to save money is to purchase products that have several uses. Part of your grocery bill includes hair care, beauty items, household necessities, etc. When making a trip to the grocery store keep this in mind to save TONS of money on the long run. If a recipe calls for apple cider vinegar you can also use it as a skin toner, a treatment for sort throats and more. Olive oil can be used for cooking, salad dressings and scrubs. Buying items that have more than one use will save you from needing to buy multiple items that have only one use. The less things you need to buy, the more money that you can keep in your pocket. And that’s exactly what we want! As cliche as it is to say that using them as trash bags will save you money, it’s true! They make great alternatives for trash bags and I always have a million of them lying around. They are smaller, however you can make more trips to the dumpster if it saves you money. Trash Bags can cost $3 – $4 for a small pack and grocery bags are free (or a few cents each depending on where you live). Not dropping a few bucks on trash bags may not seem like a big deal. But, if you keep doing small things like this to trim down your grocery bill, the savings will add up. Most college students have a smartphone, which is why this money saving tip a no-brainer! One of my favorite ways to save money is using apps (like iBotta) that give you cash back for buying select items. You simply go grocery shopping as usual, and when you’re done take a look through these apps to see if there are any cash back offers for the items you bought. If there is, it’s as easy as scanning the product with the app and uploading a picture of your receipt. Once your purchase has been verified, BAM! You’ve got cash back in your account! It’s an easy way to save money on food, toiletry items, toilet paper and more. If you want to save even more, I suggest scrolling through these apps BEFORE you go shopping. That way you can adjust your shopping list to maximize your cash back. If you were planning on buying granola and you see there is a rebate offer for a certain brand of granola, you can make sure to buy THAT one instead of a brand you might normally buy. On that note, be care not to buy something just because there is a cash back offer for it! If you don’t need and you weren’t planning on buying it, skip it. Your wallet will thank you. ? Another way to knock more dollars off your grocery bill is to check MORE THAN ONE money saving app. Each app works a little bit differently, but you CAN use more than one app on a single product. If you buy a bag of Doritos and 2 different apps give you cash back on them – you can submit both rebates! One may give you 50¢ and the other may give 75¢, so you would net $1.25 back on that purchase. Alright, so if saving money with your phone sounds awesome, then you’ll want to know my must MUST have money saving apps. I’ll teach you everything you need to know about the top 5 apps for saving money on groceries. This may not be something you immediately think of when you are looking for ways to save money on groceries. However, you can take advantage of student discounts to save money on groceries! Student discount offers such as Amazon’s free 6 months of Prime for students will even save you a trip to the store. Amazon sells just about everything, so why not do some grocery shopping online if you can save money? Prices are changing all the time on Amazon, wait for the right sale before making a purchase. Amazon has a subscribe & save program as well, which offers FREE shipping whether you have a Prime membership or not. Additionally, its free and easy to cancel at any time and you can choose how often you want the items shipped to you. So, if you see a great sale price on something you can buy it and cancel the subscription after the first shipment if the price has gone up, you don’t need more of that item, etc. If you like shopping in bulk, Sam’s Club periodically offers a free $15 gift card to students who join or renew. To get this offer all you need is your student ID. The price of a membership is $45, so after the gift card it’s like paying only $30. Keep an eye out for other ways to save money on groceries when you capitalize on student discounts, too. You are always offered a receipt when you go shopping and where does it usually end up? Before tossing it, hopefully you checked for cash back offers! If you wait just a few more minutes before getting rid of it, you can submit your receipt to two more apps for more cash back. Take a picture of any receipt and upload it to apps to earn rewards like gift cards and cash. 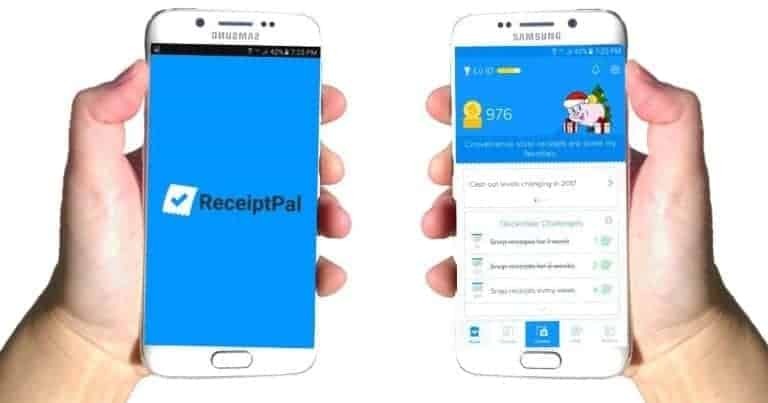 I use these two apps: ReceiptPal and ReceiptHog. Learn more about them here. These apps are different than the other apps we talked about above (tip #2). All you need to do is send in a picture of your receipt. And, it doesn’t need to be a receipt from a grocery store, it can be from any type of purchase: gas, convenience store, the mall, etc. Keep doing it each time you go to the store and the rewards will add up! Keeping track of what you need from the store by writing it down is another one of my money saving tips. It’s simple, but effective. Keep a notepad in the kitchen, or have a dry erase board. When you run out of something, make it easy on yourself and write it down. At the end of the week when it’s time to go to the store, you’ll already have a partial list ready. And, when you do go to the store – make sure to bring your list. I don’t how many times I’ve gone to the store without one, only to end up buying things I didn’t need and forgetting items I really did need. Then, I have to make another trip to the store during the week. When I realize I’m out of something in the middle of a recipe! This type of situation typically ends in me paying too much for something at a corner store when I could have gotten it for much less at the grocery store. Even more important, stick to your list. If you start buying items that are NOT on your list you can easily go from spending $40 to $75. To keep costs down, make a list and stick to it. My next money saving tip includes more planning. Plan meals in advance and budget accordingly. Write them in diaries, on one of my free printable meal planners or stick them to walls with sticky notes. It really doesn’t matter how you keep track of your plans as long as it works for you. Make sure your meal plan is posted where it’s easy to see. DO choose meals that you like and can stick to during the week. This will help you avoid a trip to a convince store when you have a craving. You can plan meals in advance for a week or even a month. It’s essential for people who need to stretch their budget to AVOID impulse spending. Planning your meals will help you stay on track with your budget because you can easily keep track of how much you spend on food. Keep in mind that indulging in unplanned meals comes with inconsistent costs. Worried about eating healthy while on a budget? See my 10 tips for eating healthy on a budget! I’m not talking about shopping at dollar stores for everyday groceries, but it is a good idea to get other items from your grocery list there. You can buy shampoo, razors and other household/toiletry products there. Not all dollar stores are the same but, if you shop at The Dollar Tree everything in the store is only $1.00! Be careful not to get caught up in buying too much. It’s easy to walk in and find 26 things that you could use. 26 items at a dollar a piece is still $26 you would spend, though. Many of things in these types of stores are not good quality, but many items are just smaller quantities of name brand items. If you’re in a pinch and you just need a few of something to hold you over for a few days until you get paid, a dollar store is a good place to shop. The store that has the lowest prices often changes weekly. Check store ads in your local newspaper, online on their respective websites or by using the app Flipp to compare prices. The new ads with the sales for the week come out on Sundays. Extra Money Saving Tip: Think about which name-brand products (such as cooking staples) you can swap for generic; that will easily bring down your grocery bill. When you think of money saving tips, think of stock up prices! When there is a rock bottom price on anything that will stay good on the shelf for an extended period of time (e.g. canned goods, paper towels, shampoo, etc), consider purchasing extra. While it will cost you a bit more upfront, the savings will be be clear in the long run when you don’t have to pay full price (which can be A LOT) for toilet paper because you ran out at a bad time. Stocking up doesn’t have to mean having a separate room filled with items. It can simply mean buying ONE extra bottle of dish soap when it costs only pennies. Be sure to visit the clearance sections as well – yes, grocery stores have these (usually on end caps)! On that note, just because it’s on sale does not mean you need to buy it. I have a budget to live within, so I’m always on the lookout for ways to score free stuff including items on my grocery list. Once you get have a nice size pile of freebies, it can last you a good while when you’re going through a rough patch with your budget. Or, use them as soon as you get them. You can use them when you travel as well – say good buy to buying travel size items! It’s up to you to decide how you use them, but they can provide a little extra something in your life when you have little extra money to spare. No time to search for free offers? We’ve got you covered! One of the best ways to get free stuff regularly is to check the “freebies” on the menu at the top of the page. The freebies range from free samples to free full size products (sorry, some of the freebies involve couponing ? – but certainly not all!). We post lots of free samples: from coffee, to soap, to shampoo and beyond. There are new free sample offers coming out all the time. Another money saving tip for grocery shopping is to to reap the benefits of store rewards programs. Rite Aid, Walgreen’s and CVS all have programs where you earn points on your purchases. These points add up to dollars to spend in their store. They are almost always free to sign up for – in fact I don’t know that I’ve ever run across a store rewards program that wasn’t fee to join. It makes sense to earn back points on a purchase you were already going to make. Walmart has a unique way to help you save: the Savings Catcher app. After you shop there, you scan your receipt with the app and it compares the prices you paid to all of the sale prices of local competitors. If a competitor has a lower price, Walmart gives you back the difference. When you are ready to cash out, you can have this amount put on to a Walmart or Bluebird gift card for the next time you shop. 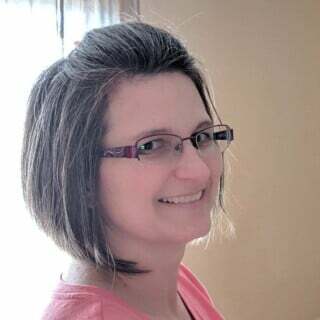 Learn more about how you can save money with the Savings Catcher app here. The last money saving tip I have for you is to keep an eye on the cash register. There are occasions when the price indicated on the item, or the shelf, does not match with the price it rings up as at the register. Watch out for these instances and never be afraid to ask. Some stores (such as Albertsons, Safeway & Kroger Stores) will even give you the first item for free if it rings up for more than it is priced at! Prices that go higher than what is advertised can risk ruining a perfectly planned budget. If you see a mistake on your receipt, take it up with the cashier or customer service. I once noticed while looking over a receipt where the bill seemed high, that I was charged for purchasing an entire case of beer when I had in fact purchased no beer! So remember, it always pays to pay attention (bad pun intended). ? What money saving tips do you have when it comes to grocery shopping? P.S. 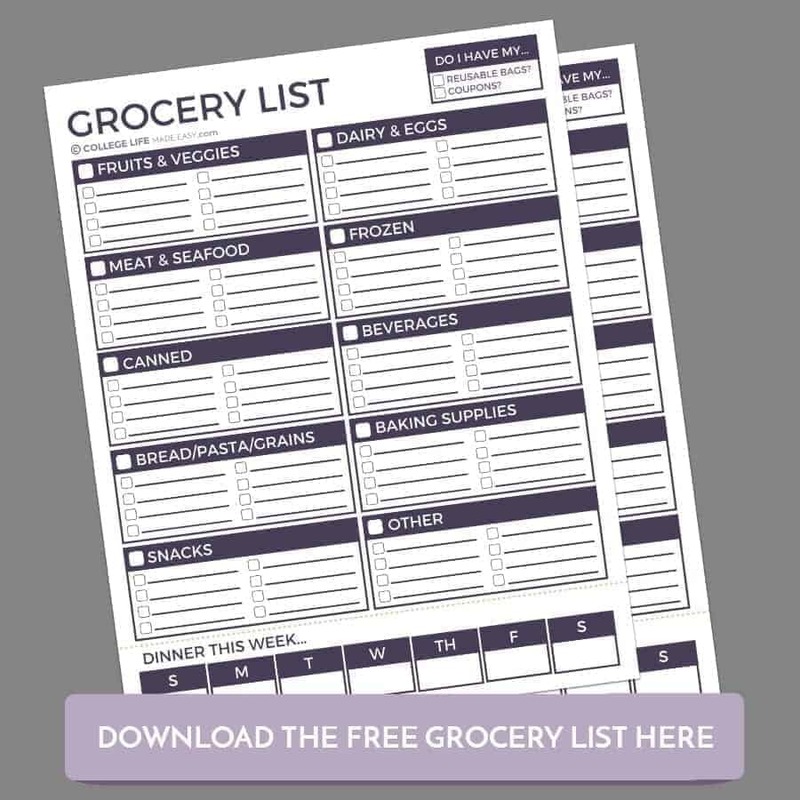 If you would like to fill out the FREE Grocery List on your computer VS filling it out by hand, you can get the editable version here. I'm Jen, one of the co-founders of College Life Made Easy: a lifestyle blog that focuses on helping students navigate college life on topics of finance, organization, dorm living and more. Week 2 of Our Back to School Giveaway! Week 3 of Our Giveaway: Enter to Win Free School $$!